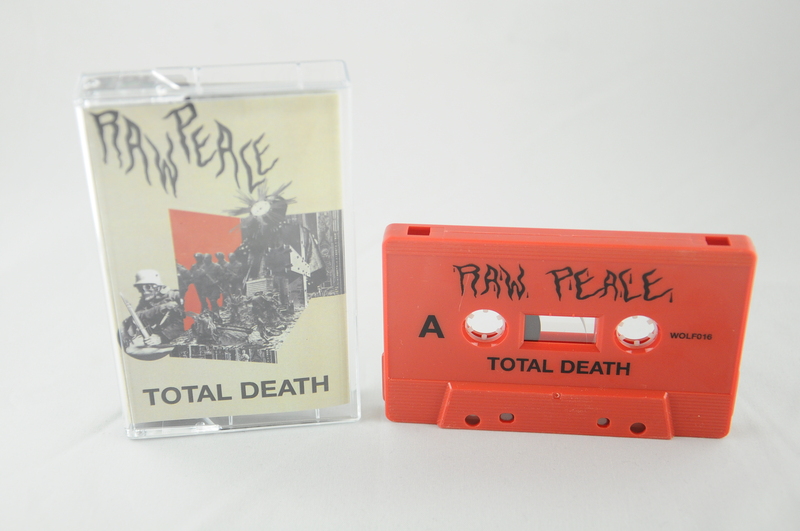 Belgian D-Beat maniacs Raw Peace follow up last years Hand Of Death demo with a debut album that retains all the anger and rawness they’ve displayed from the start and builds on the promise of those recordings. 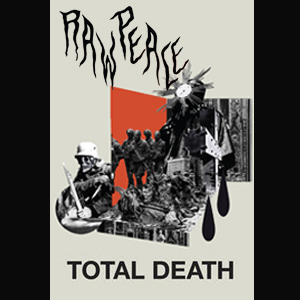 The album, aptly titled Total Death is still unrelentingly raw and noisy as hell, but the ten songs on there are well crafted and set on kill mode and the whole album is a relentless bombardment of noise from start to finish. Lyrics that decry the horrors of war are barked out over a wall of sheer noise with some seriously razor sharp guitar playing breaking out to create a cacophony of D-Beat mayhem. Songs like ‘No Peace’, ‘Endless Bloodbath’ and the frenzied album closer ‘Body Bags’ are furious slabs of raw anger and even rawer energy that any fan of Wolfbrigade, Victims, Anti Cimex and of course, the immortal Discharge won’t get sick of listening to again and again. 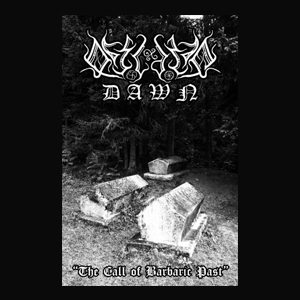 The album flies by in a flash of hostile fury and the timeless nature of the songs and their message means that it still sounds fresh as well as familiar and you can’t fake the passion that the band emit with their sounds of savagery. Limited to 50 copies. Every tape is hand numbered in blood.